Some of Donegal's best hidden gems are to be showcased as part of an exciting new tourism initiative which was launched this week. The Minister of State for Tourism and Sport, Brendan Griffin has unveiled ‘Call of the Wild’, a joint initiative between the Department of Transport, Tourism and Sport, Fáilte Ireland and Tourism Ireland. The new initiative aims to give local people on the Wild Atlantic Way the opportunity to have their hidden gems included in a global social media campaign, while at the same time highlight to their own social network the beauty of the locality as a holiday destination. Over the coming weeks, locals from along the Wild Atlantic Way in Donegal will be called on to share photos and videos that showcase the beauty of the North West Coast on social media using the hashtag #MyWildAtlanticWay. The best photos and videos will be shared by Tourism Ireland on its social platforms with millions of potential holidaymakers around the world (Tourism Ireland has around 4.3 million Facebook fans worldwide, almost 500,000 followers on Twitter and 425,000 followers on Instagram). Everyone who gets involved will have the chance to win a 2-night getaway along the Wild Atlantic Way. “This is the first of a number of regional tourism initiatives made possible due to the increased funding in tourism,” Minister Griffin said. “From stunning landscapes to exquisite food, there are many hidden gems along the Wild Atlantic Way known to Donegal locals, but undiscovered by the rest of the world. “We are asking local people from along the Wild Atlantic Way to share their own ‘hidden gems’ with the world and help spread the word about the beauty of the North West coast. 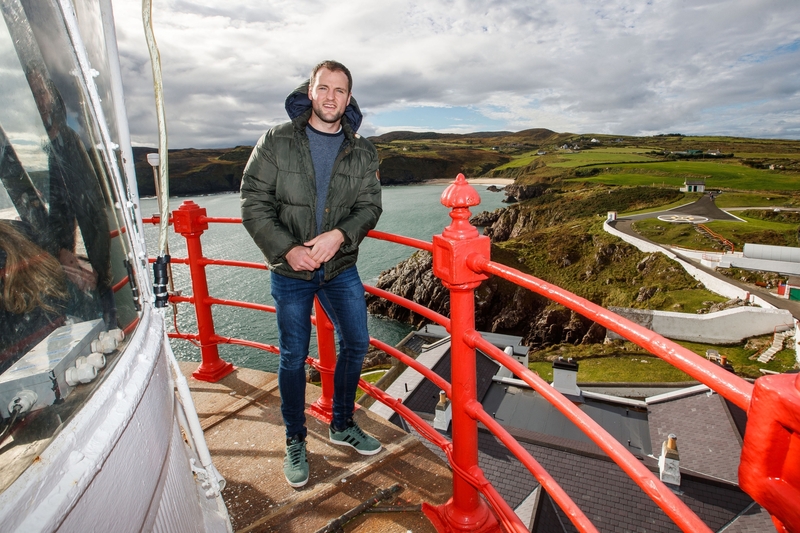 To launch the initiative in Donegal, Fáilte Ireland has teamed up with GAA legend Michael Murphy to answer the ‘Call of the Wild’ by sharing some of his favourite destinations across his social media accounts, encouraging his followers to follow suit and share their own favourites. “I’m incredibly proud to represent Donegal in the Call of the Wild, and to be a part of coming together with my community to get out there and capture photos that show off this stunning place we call home,” Michael said.